Being a financial Member of the PTEU brings a wide range of benefits and services that come from your EBA. The PTEU also delivers the following through your EBA. It's easy to take our rights and benefits for granted. As you look at the long list of benefits on this page remember that each of these had to be fought for. They were were secured for working Australians by union members standing together. And the fight is not over. Everything that has been won in the past has to be defended today against the people who don't value our labour or our welfare at its proper worth, and who want more for less. Unions work to defend and improve conditions for all working Australians. Training doesn't finish with your apprenticeship. The plumbing trades are changing. We are at the forefront of the the battle to reduce greenhouse gases and save water and energy. The Union supports cutting edge industry training that ensures that members are qualified for the projects of the future. The Union supports Fire Industry Training ("FiT"). FiT is an industry-owned organisation, established in 2008. It is the pre-eminent provider of fire protection training in Australia. 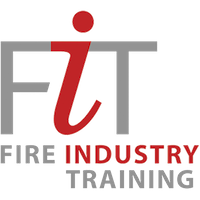 FiT delivers a range of industry specific training at our centres of excellence, where we consistently strive to improve and to fulfil our objective of delivering quality, industry focussed training which benefits all stakeholders. Our success sees us as the preferred provider of apprentice training for all states. For more information please visit FiT. Information about long service leave is available in New South Wales from the Long Service Corporation. In the ACT information may be obtained from the ACT Long Service Leave Authority. Maurice Blackburn Lawyers are one of Australia's most establisled, sussessful and respected law firms. For almost a century, Maurice Blackburn have won legal battles for individuals who have been treated unfairly or injured. They have been involved in landmark decisions, from the 40-hour work week in 1948 to the largest pain and suffering compensation payout for Mesothelioma sufferer Eric King against James Hardie. They also won the biggest class action settlement in Australian history - $150 million for Centro shareholders in 2012. Under the terms of their EBA your employer must pay superannuation contributions monthly into your superannuation account. When absent from work as a result of a work related injury or illness or long service leave, your employer must pay a minimum level of contributions as listed in the EBA. ACIRT is the Australian Construction Industry Redundancy Trust. A national fund establised in reponse to an initiative from the construction unions, their members and employers to creste secrity of payment for eployees' redundancy entitlements, as provided for under the various industrial awards and enterprise agreements through the payments of weekly contributions paid monthly into the fund. Marsh, the world's leading insurance broker and risk adviser, has now appointed exclusively by the CEPU of Australia NSW Branch to provide group income insurance to plumbing trades employees under the new EBA agreement. The Union may pay the cost of members' ambulance transport up to a maximum amount per year. To be eligible members must be financial and meet other rules and requirements. The PTEU has secured Journey Cover travelling to and from work for all financial members from the NON-CONSTRUCTION SECTOR.